Notice the Blue Man hiding in plain sight. The full ice cream description is above, but TAMITBS is a banana ice cream that hits all the right notes: peanut butter crunch, chocolate notes, and a lightly salty contrast that underscores the sweetness. Sometimes ice creams have too much going on and no balance. TAMITBS somehow manages to meld all the flavors together, like the best frozen, chocolate-dipped banana. 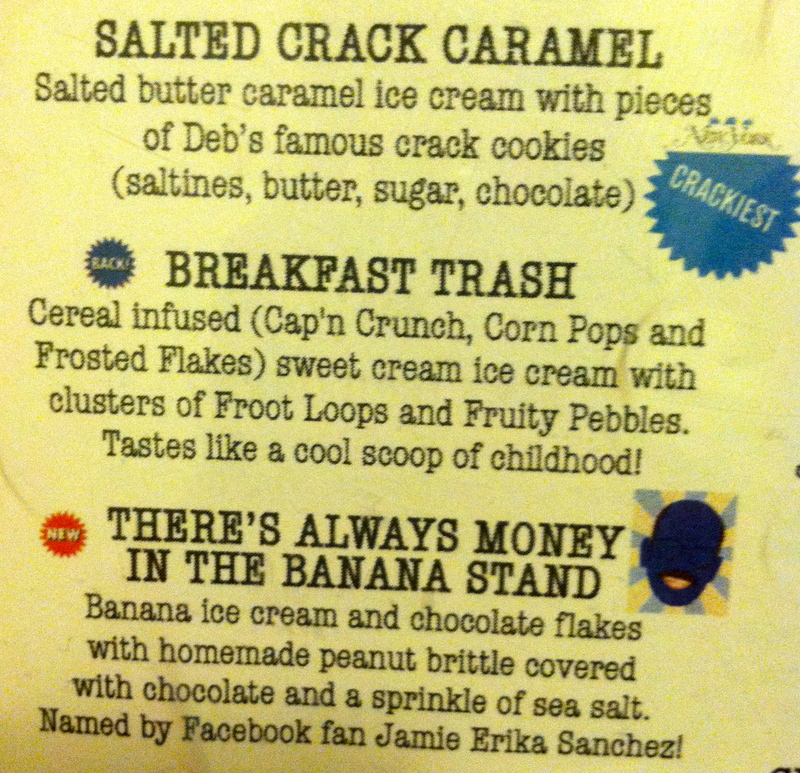 And since I have no self-restraint, I also got the trademark Ample Hills flavor, the Salted Crack Caramel. 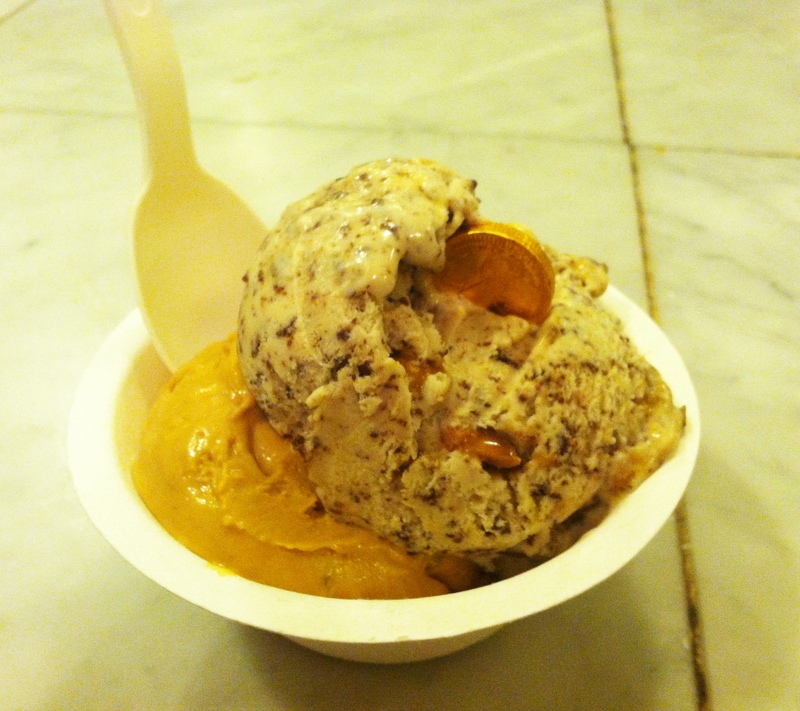 Significantly saltier than TAMITBS, the salted crack caramel is a standby for many reasons. It has a burnt, deep caramel flavor in a smooth rich base punctuated by the crisp cookies. Each of these flavors could be a standalone star, but they nevertheless played well together, like Cousins Dangereux. 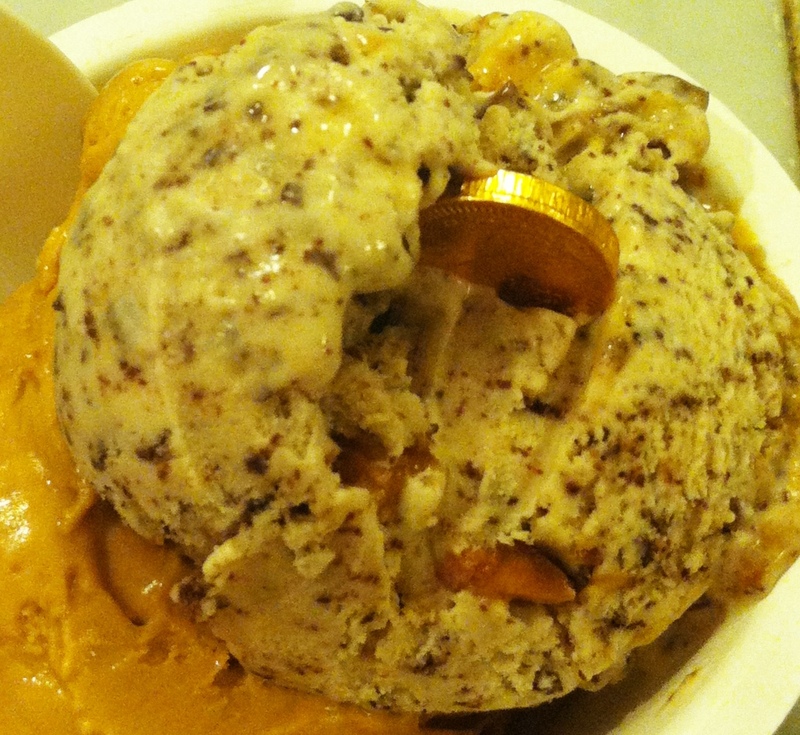 Yes, that is a chocolate coin hiding in the banana ice cream. Carson’s Custard was my favorite flavor! Do not try the GOT flavor… pretty gross. Neither of these were on the menu. Unfortunate! What were they?